Ford Years Too Many an Anti-Rob Ford campaign. 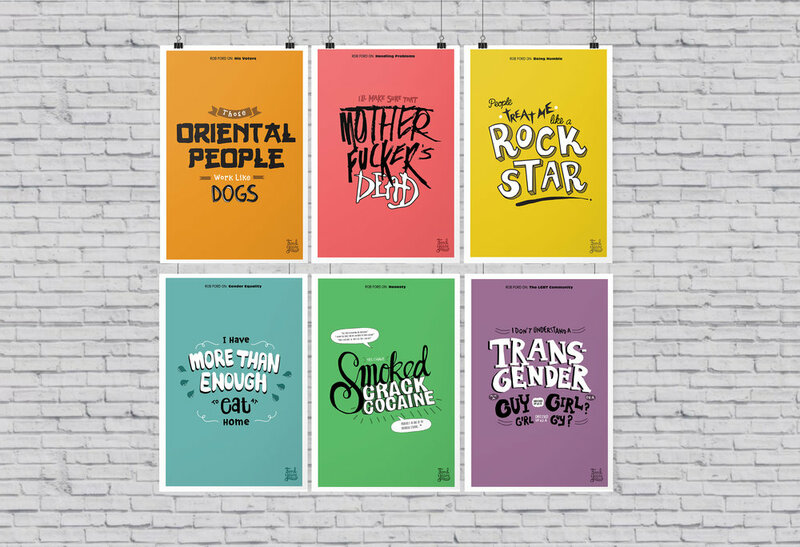 The series contains 6 handwritten typographic posters and t-shirts. The project is to remind voters to think twice before re-electing Ford for the 2014 Toronto Mayoral Election. Ford is notorious for his crack cocaine scandal however, there are much more outrageous and shocking words from man elected. You’ll be surprised to know all the other appalling things Mr. Ford has say about himself, the community, his voters, and the city!